Pig out - for a good cause. 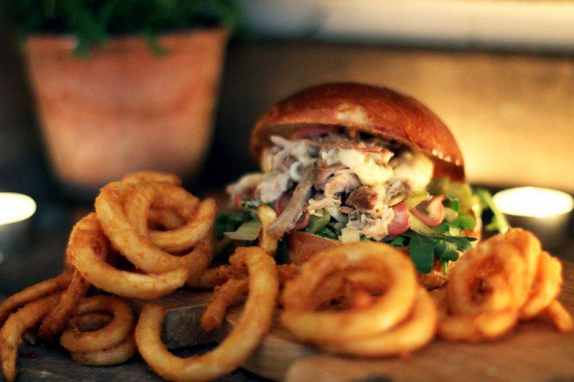 This night lets you eat the best 'Pig Mac' pork burgers from Wiggies in a beautiful setting, while a proportion of the price goes to The Pig Idea Campaign, which aims to get food thrown away by people to be fed to pigs. "An evening of Pigging out on the best pork burgers in town and cocktails in the beautiful roof top setting of Platterform, to raise awareness for The Pig Idea Campaign (www.thepigidea.org) and Wiggies London. Wiggies London (www.wiggieslondon.com) the nose to tail pork pop up, will be cooking up their famous Pig Macs to promote The Pig Idea Campaign and their effort to reduce the amount of good food that we throw away every day. 10% of your ticket price will go towards the campaign. Further donations can be made on the night. Come and help us celebrate the Pig and reduce the amount of food we throw away! With one billion people going hungry, shouldn't we be using food waste instead of growing crops to feed pigs? The most efficient thing to do with food waste is to feed it to our Pigs! The Pig Idea campaign promotes pigs as effective recycling systems where perfectly good food that we throw away from our kitchens and restaurants, can be fed to Pigs, and turned into delicious food for us such as the Pig Mac! Pig and Co are supplying the Pork for the event www.pigandco.com. Their pigs have been fed on food that would have been thrown away in an effort to reduce food waste."